Chinese New Year will begin on Tuesday, February 5, 2019, and lasts for approximately a week. However, it’s common for businesses and factories to close several days before the new year in order to give workers time to travel to their homes. For companies who depend on exporting to China, it’s something to plan for. 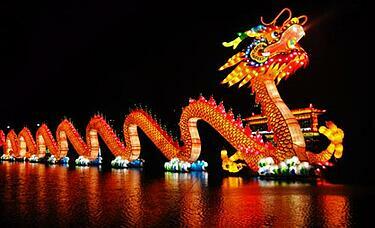 Here are five ways you can ensure Chinese New Year celebrations won’t slow down your business. A supposed U.S. Army quote reads, "Prior planning prevents poor performance." It’s important to find out the particulars about your partners’ and associates’ holiday schedules as soon as you can so you can plan in advance for their needs. Ask for as much information as you need from your clients, so you aren’t left wondering what’s going on with no response for a month. Map out your business’s plan as far ahead as possible so you can prepare months in advance for the inevitable slowdown. Try to find out the exact dates of the holidays, so you can build in buffer periods for correspondence, bank routing, and actual shipping time. Because Chinese New Year is based on the Chinese Lunar calendar, it is a bit more difficult for Western companies to pinpoint. However, approximate new years are calculated in advance and are readily available online. Find out what lead times and information your associates need from you in order to process and send your orders in a timely fashion. Once you know when your international associates will be out of office, it’s important to identify what you can expect from them and any of their associates whom you may interact with while during the holiday. It’s very likely that there will be no contact whatsoever during Chinese New Year. Ask who, if anyone, will be handling correspondence during the vacation time. Plan for physical and technical delay and transport lag time. Find out who (if anyone) is providing technical or customer support, and work out an alternate arrangement to forward and handle calls that may be otherwise taken by a Chinese office. Don’t be shocked by a disastrous first quarter turnout because of a failure to plan. To lessen the financial hit you could potentially take, ramp up production in the previous months. This is why the planning aspect is so important. By taking stock of how much you need to account for in January and February, and then spreading that amount over the months previous, your business’s bottom line won’t suffer. On the import side, which is even more crucial to plan for during Chinese New Year, make arrangements to acquire supplies and products prior to February, so your company is well-stocked while your suppliers are gone. Keep in mind, you won’t be able to order during the holiday, so plan to have enough stock to cover demand for the entire month of February and even into March. If you’re waiting for orders to come in February, you must take into consideration your production times, financing, and all the different issues related to receiving and processing export orders. Remember, you likely won’t get much business from China this month, which could be catastrophic if you do not anticipate it. When your Chinese associates come back to work, you’ll likely find yourself with an influx of orders or support, depending on your product. If your company provides technical support, you may have to anticipate a lull in early to mid-February and a boom thereafter. Either way, plan your staffing and production accordingly so you can keep up with increased demand. During and after Chinese New Year, make sure you’re keeping notes about what is working well and of any failures. With that information, you’ll be able to adjust and plan strategically for the next year far in advance. In 2019, the Chinese New Year celebrates the year of the pig, which foretells gaining wealth in 2019, which is more likely to come true with the proper planning for the new year. By paying special attention to the demands of Chinese New Year, you’ll be able to watch that fortune come true for your February exports! This article was first published in December 2014 and has been updated to include current information, links and formatting.